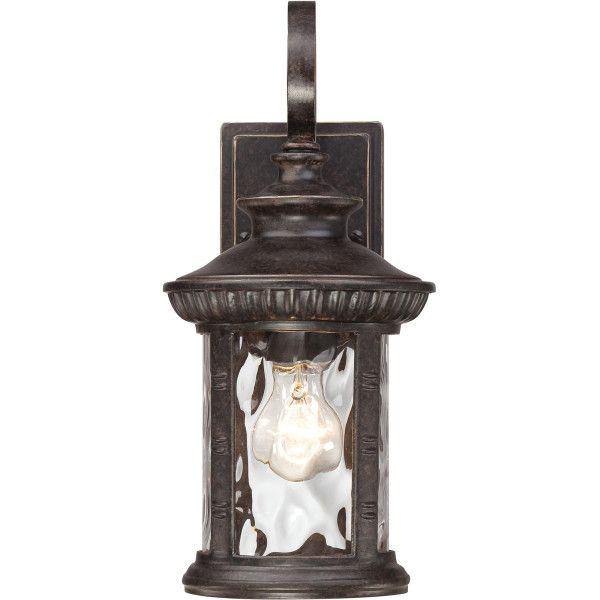 Quoizel Lighting Chimera Collection Outdoor wall lantern in traditional style, features aluminum/glass construction with imperial bronze finish. It has a dimension of 7-Inch x 15.5-Inch. The wall lantern accommodates one 100-Watt A19 medium-based incandescent lamp. It has voltage rating of 120-Volts and power wattage of 100-Watts. This wall lantern has a clear water glass shade to complement any area. It includes 4.5-Inch x 6.5-Inch sized base backplate, 0.5-ft long lead wire and allow 9.5-Inch extension from wall during installation. Wall lantern is cUL listed.